More and more people want to give TEDx talks-which has led some authors to ask whether it's worth doing. The answer is YES! TED has not only become the gold standard of public speaking; it has become one of the most powerful thought leadership platforms you can have. And because it's pure content, a great talk can stand the test of time (even in the age of the Internet), so you have the potential to reach many people for many years to come. In short, if you or your author have a mission, a story, an idea worth spreading, then there's no reason not to give a TEDx talk. It could honestly be life-changing. Terri Trespicio should know. She has given two TEDx talks, one of which ("Stop Searching for Your Passion") has earned more than 3.6 million views to date. And she has worked with many authors and experts to help them land their own TEDx talks. Terri Trespicio is an award-winning writer, speaker, and branding pro, and works with individuals and organizations to help nail their messaging and craft signature and TEDx talks. 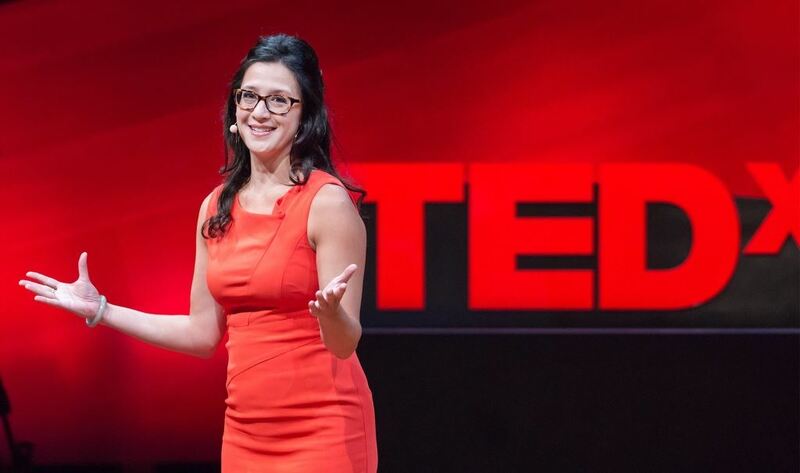 Her TEDx talk, "Stop Searching for Your Passion" has earned more than 3.6 million views to date. A former magazine editor and radio host at Martha Stewart, she has appeared on the Today show, Dr. Oz, The Early Show, The Martha Stewart Show and The Anderson Cooper Show. Her work has been featured Oprah magazine, Marie Claire, Prevention, Business Insider, Forbes.com, and Inc.com. An in-demand speaker who presents at conferences across the country, Terri was rated the #1 speaker at Barron's Top Independent Women Advisors Summit and How Design live-and she also performs stand-up comedy around the city. Terri is the creator of Tapped to Speak and Tapped to Speak LIVE-a live, in-person workshop event happening on JUNE 7 & 8 in NYC, that's designed to help authors, experts, and speakers land their stand-out signature talks.